What can I do with 2 ripe bananas? Make banana bread of course! Don’t think that 2 bananas are enough to make deliciously moist banana bread? Well, you’re wrong. It’s totally possible. So how do you make banana bread with 2 bananas? You’re about to find out! 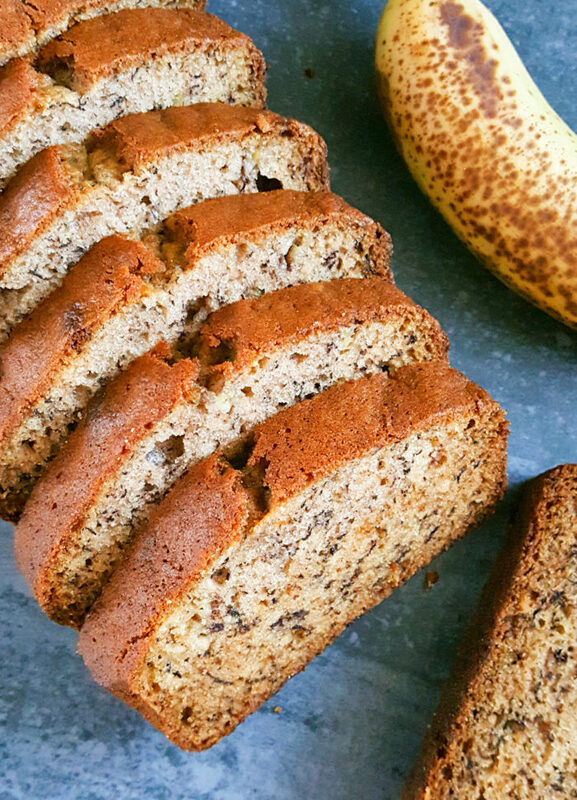 This easy banana bread recipe made with 2 bananas and oil is moist and delicious. No mixer required, one bowl, and less than 10 minutes prep. I know the reason why you’re here. I know that you only have 2 bananas. Sorry, that was a little intense. So, you’re looking for a 2 banana bread recipe. Well, I’m happy to say that you’ve found it. This is a simple recipe with few ingredients, very easy to make, and beginner-friendly. It’s one of the best ways to use overripe bananas. This recipe actually yields a tender and moist banana bread despite the small amount of bananas because compared to other recipes this one has more wet ingredients that don’t include milk or water that stretches the batter thin and also less flour. Since this bread would obviously be lacking a little in banana flavor I bumped up the vanilla and added cinnamon to make up for it. Absolutely delicious. You can add more or less spice depending on your personal preference. Feel free to add nuts as well. 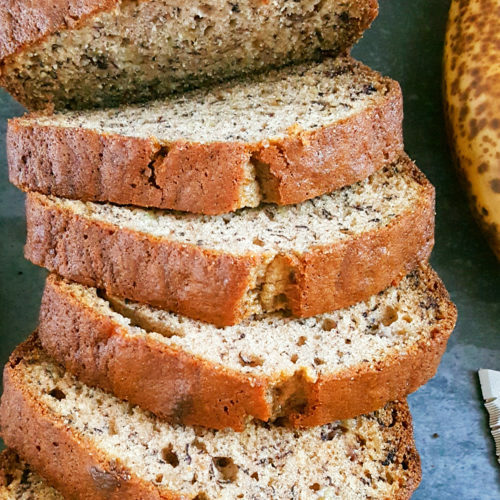 The best bananas for banana bread are overripe bananas that are speckled and half black/dark brown. 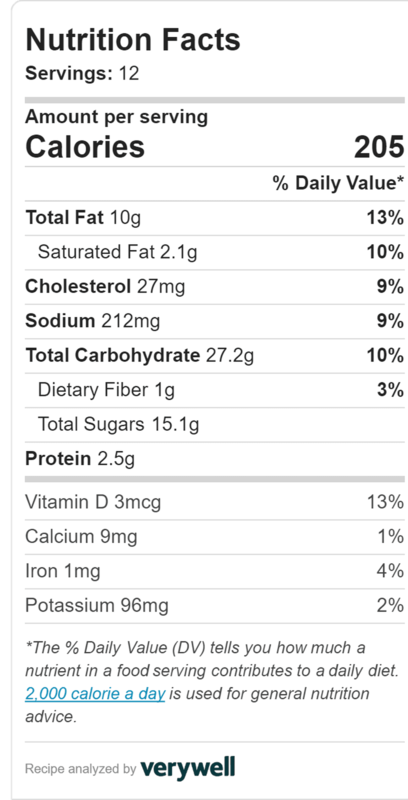 In a large bowl combine bananas, granulated sugar, cinnamon, salt. That is how to make banana bread at home using only 2 bananas. Pretty simple huh? 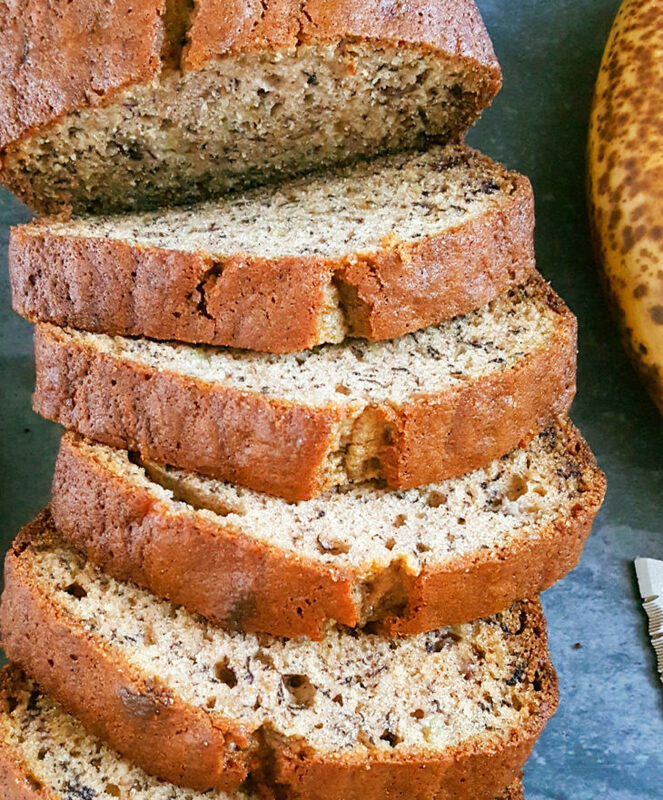 This easy banana bread recipe made with 2 bananas and oil is moist and delicious. No mixer required, one bowl, and less than 10 minutes prep.